On Thursday, I attended the concert at the Woodward Theater in Over The Rhein. The concert was a collaboration between concert:nova and the Music Now festival, now in its 10th year here in Cincinnati. 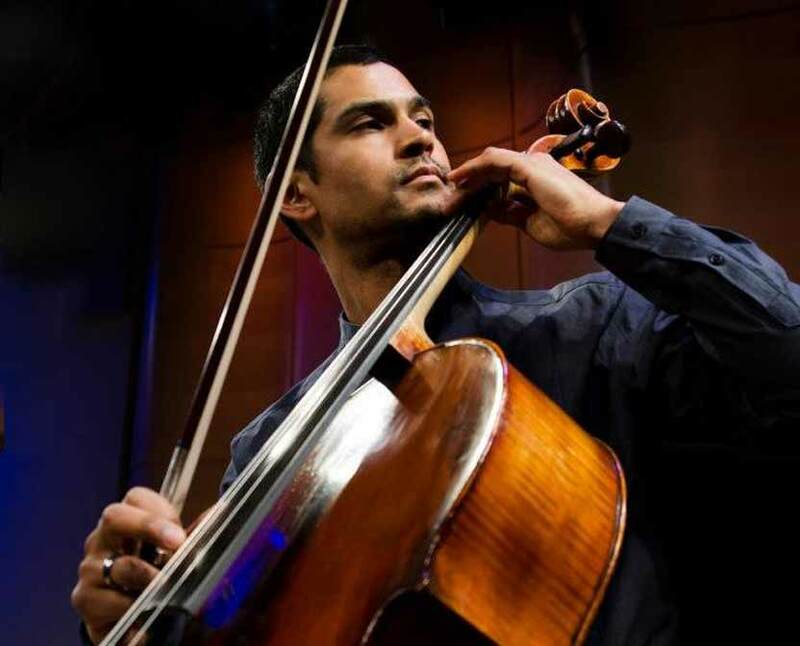 The featured performer was Jeffrey Ziegler, former cellist with the Kronos Quartet, who played pieces from his solo album, “Something of Life”. The pieces were all for cello solo, almost all accompanied by electronic sounds derived from the recorded sound of the instrument. He opened his set with Glaub by Felipe Perez Santiago. It blew me away. I bought the CD, primarily to have a recording of this piece. His set also included pieces by John Zorn, Derek Charke, and Paolo Prestini. Of these, I liked the deeply expressive “Mourning” by Pristini best. “Tangled in Plastic Currents” by Charkel was less engaging. “Babel: The Confusion of Tongues” was similar to other random collections of effects that I had heard from John Zorn, but in this case, the effects, generated acoustically as far as I could tell, were held together by a persistent energetic sawing away on the low C string, an ostinato abandoned only at the very end of the piece. I am still not a Zorn fan, but this piece was more enjoyable than most, and Ziegler’s performance was thrilling. The concert opened with “Quintet for Trumpet and Electronics” by Per Bloland. It is an improvisational piece that makes use of a recording and looping device that feeds through electronic modifications, including a pitch shifter. I like the idea of working with electronic manipulation that happens live. The texture is built up from the sound produced at the moment. In one section, the trumpet held long notes. With the looping and pitch shifting, the tone clusters built up. Then, the soloist came in on top of this a sparse staccato line, which gradually took over the texture. However, much of the piece was not so effective, and, in comparison to the Santiago which came later, this piece sounded hackneyed. Daniel Bjarnason‘s trio, “Five Possibilities” was described in the program notes (quoting George Grella) as a “combination of Weberian brevity an Varian density.” This piece had enough interest that I am looking forward to hearing more this composer on Saturday, when the CSO will be premiering “Collider”. It was particularly in the this piece that I was upset by the acoustics of the room. The Woodward Theater is a small venue. I was in the balcony, but should have had no problem hearing the soft passages from the trio on stage. However, much of this delicate music was masked by the white noise generated by the fan in the air ventilation system. During intermission, I spoke with someone sitting downstairs very near the stage, and she shared my complaint. I understand that the venue is usually used for electronically amplified music that can cope with whatever ambient noise is around. However, not all of the pieces on this concert fit that description. In particular, the Bjarnason piece had some soft delicate passages that might have been beautiful, but were frustrating to listen to from my seat. 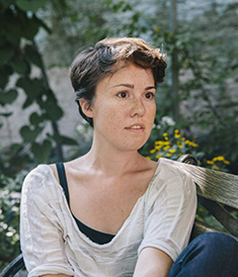 I enjoyed the set of songs written and sung by Caroline Shaw. Though she clearly has classical music training, her voice is close to that of a folk singer. The tunes were simple diatonic melodies using the lyrics from old Gospel and Blue Grass standards. She was accompanied by a string quartet. In each song, the quartet used a different set of effects. The pizzicato in “Will There Be Any Stars in My Crown?” felt like points of light; sometimes they coalesced into constellations, forming triads that supported the tonality of the melody. Less effective, in my opinion, were the “on the fingerboard” effects that accompanied “Angel Band”. Rather than etherial, I found the background simply incongruous, and weird. Richard Reed Parry’s “Interruptions” was written for a nonet of strings, guitars, 2 clarinets and pianissimo trumpet. These pieces featured a gimmick: each player had a stethoscope, and was playing to the beat of his own heart or breath. This device seemed to work best with collective effects where the players were coordinated on the level of the larger gesture, but scattered in detail. Bryce Dessner, the organizer of the Music Now festival, plays in a rock band, the Nationals. In “Little Blue Something”, you can hear the influence of popular music. Dating from 2000, the Nonetto II by Olli Mustonen, a double string quartet with added double bass, was the oldest composition on the program, and indeed, it sounded a bit out of place. It was as if the ghost of Mendelssohn suddenly appeared. It is not that the piece is derivative, but the Romantic sensibility was immediately apparent in the context of all this modernity. Most effective was the final movement, Vivaccissimo, where the power of all these strings sawing away seemed to recall the bubbly energy of Mendelssohn’s Octet without feeling anachronistic. All of the pieces were worth hearing, but the concert ran a bit long, almost three hours with intermission. 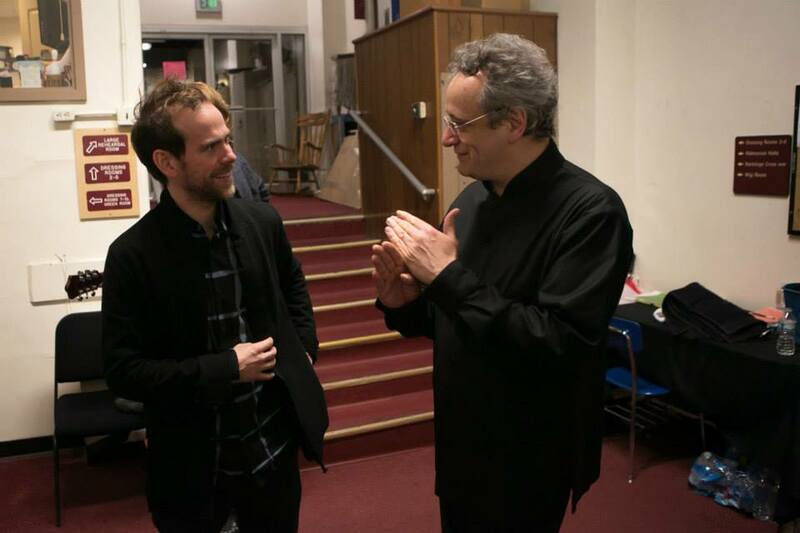 Indeed, Bryce Dessner seemed to offer an implicit apology when he used the phrase “marathon concert” in introducing his own piece. However, I left satisfied, looking forward to more with the CSO the next evenings.